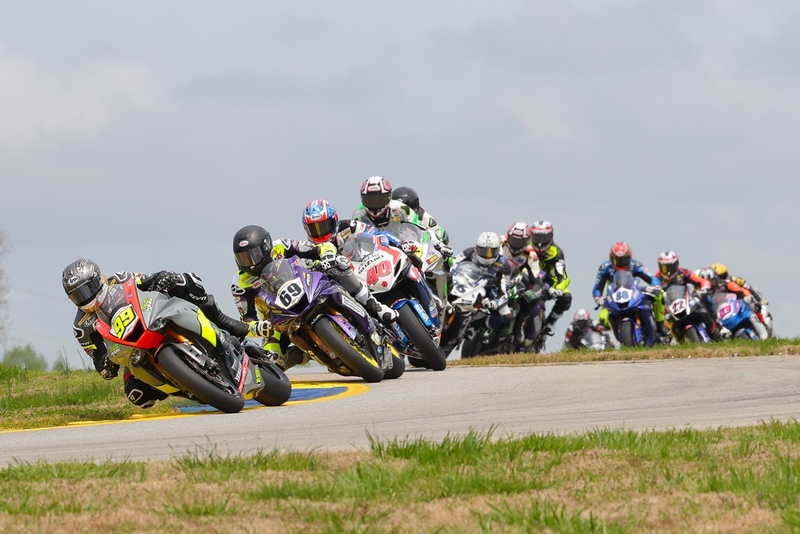 Shawnee, OK (April 9, 2019) – Celtic HSBK Racing salvaged a tough MotoAmerica debut with Rider PJ Jacobsen last weekend at Michelin Raceway Road Atlanta. The team, who had minimal pre-season testing, took a race to really get in stride but finished the weekend on the box. Saturday morning, Qualifying 2 was a chance to continue working on setup and verify the overnight repairs. P.J. ran the 5th fastest times putting him on the second row of the grid. That afternoon, Race 1 was the team's first time out on a dry track and paired with Jacobsen's injury from the earlier crash they knew they were up against a lot of factors. P.J. battled for third most of the 18-lap race ultimately crossing the finish line in 6th. The team went into Sunday with significant changes to the bike that would help P.J. with braking and handling. A change that even the announcers noticed. P.J was still experiencing hand pain but thanks to another night of rest he was even more determined to salvage the weekend. P.J. and Bobby Fong broke away from the pack early in the race. P.J was close on his tail and applying pressure that continued to put them further and further ahead of the pack battling for third. P.J. was able to lead the race for a brief time and ultimately snagged his first MotoAmerica Podium in second place 13.3 seconds ahead of the next competitor.